This retail setting embodies sophistication as well as a modern and mature approach to girly-ness. The colour scheme is very soft and fresh, using a variety of neutral tones contrasted with a calming yet poppy blue coloured walls. 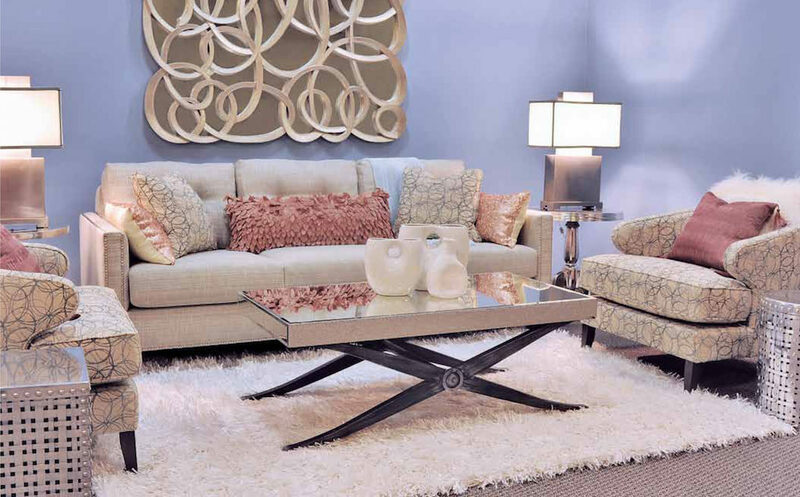 The combination of metallic surfaces, mirrored pieces and the shimmery shag rug makes this space perfect for a glam lover.